Saracens booked their place alongside Northampton in the Aviva Premiership final after a 31-17 victory over Harlequins. Kelly Brown dotted down Saracens' only try of the first half, before the hosts rose to prominence after the break with scores from England internationals Brad Barritt and Chris Ashton giving the Heineken Cup finalists hopes of completing the double a huge shot in the arm. Fellow England caps Ugo Monye and Mike Brown both crossed the whitewash in the first half for Harlequins, but they paid the ultimate price for a tiring performance in the face of a Saracens onslaught. 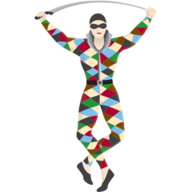 An early period of pressure paid dividends for Harlequins in a sun-drenched Greater London as Evans drew first blood, slotting his first kick from 40 metres after Saracens were caught offside. Their hard work was soon undone as 21-year-old prop Kyle Sinckler nervously prevented Schalk Brits from releasing, leaving Owen Farrell with a straight forward kick to restore parity. A ferocious East Midlands showdown on Friday may have seemed a hard act to follow, but the brutality of the London derby soon surfaced as Sinckler crashed into the hard-hitting Jacques Burger, but it was Saracens who came out on top as Farrell doubled their tally with a penalty on the following phase. 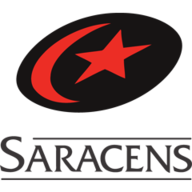 Saracens, who had escaped punishment for an earlier tackle, soon found themselves reduced to 13 men as referee Wayne Barnes brandished two yellow cards in as many minutes. Argentinian centre Marcelo Bosch was sent to the sin bin after upending fly-half Evans, who showed clear signs of grogginess as he missed the subsequent penalty, before prop Matt Stevens was also penalised for a deliberate knock-on. With Saracens bereft of bodies in defence, the visitors could sniff blood and Monye seized the advantage as he completed a fine team move and Evans slotted over the extras, leaving the hosts in a precarious position. However, the riposte from Sarries was emphatic as they refused to take conceding lightly. With Bosch preparing to return to the field of play, Billy Vunipola got Saracens moving with a big carry and then Chris Ashton drew defenders in before Brown dove over the whitewash to nudge the hosts ahead. After Mark McCall's warning that they could not switch off, Saracens did exactly that as a dropped ball in midfield allowed Chris Robshaw to hack downfield. Newly-crowned Premiership Player of the Season Brown accelerated on to dot down a dagger to Saracens' hearts and Evans' conversion gave Harlequins a six-point lead at the break. Saracens could have levelled the scores with two penalties in the opening seven minutes of the second half, but misses from Farrell and Bosch increased their missed points tally to 14. When a catch-and-drive from the lineout was moved into midfield, Brits' quick hands presented centre Barritt with a priceless opportunity to slide home Saracens' second try, which he did with ease after being released too early from a tackle. Farrell's conversion edged the hosts in front and a penalty shortly after allowed the England No 10 to extend their lead to four points as the tables started to turn on Harlequins. Bosch raced over the line and was certain he had scored but his effort was disallowed for offside, although there was an air of inevitability about what was to come. A dummy from Farrell was the catalyst to a great break, and interplay between Kelly Brown and Brad Barritt eventually unleashed Ashton in space, who splashed over the line and the subsequent conversion gave Saracens an 11-point buffer. Farrell added a fourth successful penalty with his final act of the game and Saracens held out to book a date with Saints at Twickenham in two weeks' time, but first they must turn attention to a Heineken Cup final showdown with champions Toulon next Saturday.